There are two new big names included in the TULIP family. We have added Asseco Helios Orange and Asseco SPIN to the list of accounting software that allows a direct connection to TULIP in real time. We have had three types of accounting software connected to TULIP until this year: SAP, Pohoda and Microsoft Dynamics NAV. In addition, TULIP is a Microsoft Dynamics NAV silver partner. With a new year, we have added two new software programs to the list: Asseco Helios Orange and Asseco SPIN. Helios Orange, provided by Asseco Solutions, is the most used ERP system within the SME segment. Asseco Solutions also provides the ERP solution SPIN, which is used by large companies and multinationals because it has many more sophisticated functions. 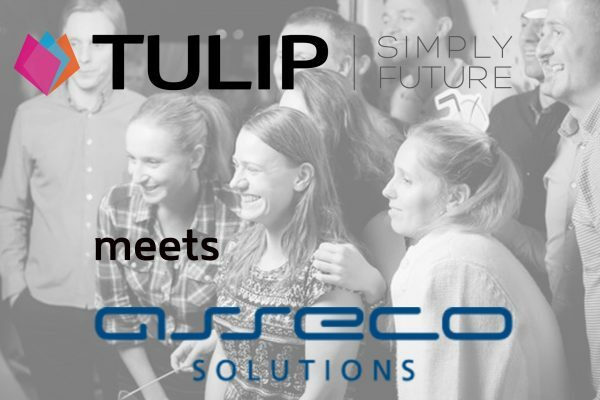 „Real time connection to this software from the Asseco Solutions family is the first step of long-time planned partnership between our companies”, said Viktor Mečiar, managing director of TULIP Solutions. TULIP is a Slovak solution, but companies are using it across the whole CEE region. Reaching towards a paperless office is a must for companies all over the world and it is not limited by borders. Not only just because many companies work internationally, the European Union and other institutions with their rules and laws aim to maintain policies towards saving natural resources. Saving nature is the only possible future for the planet and for a company´s everyday life. Just like it is for every single person in their personal life. Do you want to digitalize your invoices with TULIP? TULIP´s summary of 2018. How did it go? Taking part in the ”Elektronické účetnictví 2018“ conference in Prague. How was it? Another year, another “Elektronické účetnictví 2018” conference. We´ll be there, will you? TULIP allows you to optimize all your company's processes, such as: invoice digitalization, tracking you employees' attendance, customize approval workflows and much more. Our cloud solution will help you reduce paperwork-related errors and save significant financial and time resources.